All editions INCLUDE software, samples, video and more - see downloads FAQ. 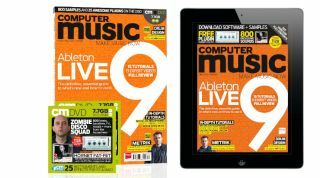 Every issue of Computer Music comes with CM Plugins, a selection of pro-quality VST/AU instruments and effects for PC and Mac. Check out our full CM Plugins list and the CM Plugins FAQ for more details on what's included. • Hornet Fat-FET: Get phat, analogue-style dynamics in your tracks with this professional-grade plugin for PC/Mac! It's totally exclusive to Computer Music magazine - you can't get it anywhere else. • Metrik Producer Masterclass - The DnB star and recent Hospital Records signee deconstructs Drift on video! • 20 tutorial videos: Expert video walkthroughs on Live 9, drum synthesis, and more! ***Producer Masterclass video is not currently downloadable. Apple Newsstand readers can watch it directly inside the app via internet streaming. Print edition includes Producer Masterclass on the DVD. Zinio does not include Producer Masterclass video.